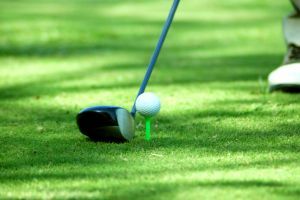 Most golfers prefer to buy their equipment in person from their local golf stores which is understandable because it is very important to know how the club feels in your hand, if the shoes fit perfectly, if the trousers are comfortable, etc.. A growing number of golf enthusiasts, however, are looking for the right equipment online rather than offline. Buying online is convenient, time saving and above all, a lot less expensive. In addition, the offer is typically a lot better than offline. In comparison to the brick and mortar stores, online stores are a lot less expensive to run. Online retailers don’t need to buy or rent a showroom on a good (and expensive) location and hire several salespeople. Plus, there are no opening and closing hours online. On the other hand, the competition is much fiercer and in order to “survive” on the world wide web, online retailers are selling high quality golf equipment at minimal profit margins. And yes, this counts for branded golf equipment too if you are perhaps wondering. Even more, there are always special deals, discounts, sales and clearances online, enabling you to get a fine club, golf shoes, clothing or any other piece of golf equipment you need at much, much less than at your local golf store. Buying golf equipment online is a relatively straight forward process but it is a good idea to be cautious about where you buy. There are fakes for just about everything out there which is why you are recommended to buy only from trustworthy online retailers. Also, resist the temptation to buy what seems to be high-end golf equipment at an extremely low price. It may be true that online prices are considerably lower than those in brick and mortar stores but you cannot expect to find expensive golf clubs for half price, even if it is on sale or discount. Besides making sure that you are buying the “real thing”, you are also recommended not to forget about the shipping costs. Some online retailers won’t charge you shipping costs if you buy a product or multiple ones over a certain price range but even if they do, the overall price of the product(s) is typically still considerably lower from that you would pay at your local golf store. But it is always better to be safe than sorry, so be sure to read the delivery policy and sale terms before you order anything. Lastly, it is important to keep in mind that you cannot see, touch or try the product when buying online. As a result, there is always a chance that you won’t like the ordered product or that it won’t fit. Fortunately, just about all online retailers allow you to return the product if you aren’t satisfied with it for any reason and will of course fully refund you. But just in case, read the returns policy before you make any orders.